Bring Customers Through Your Door Today. 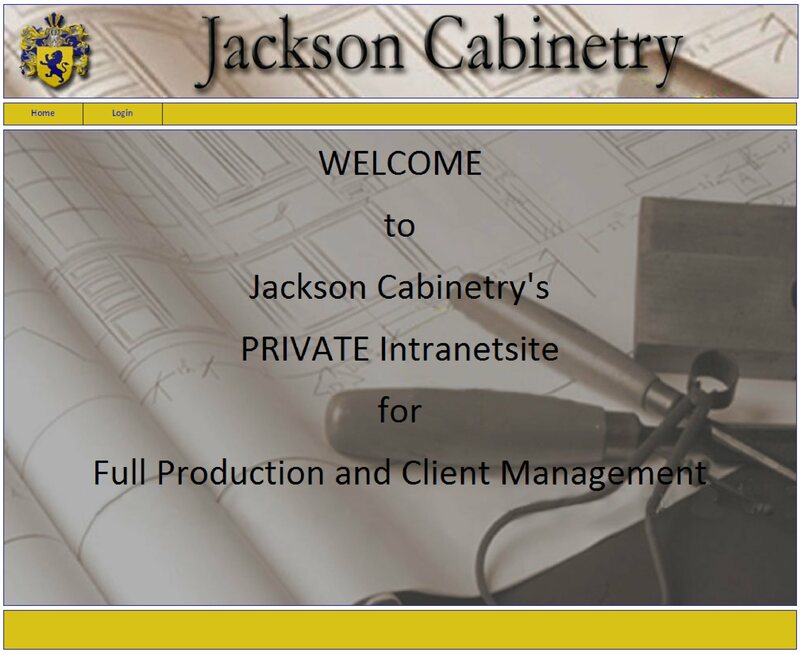 Progressive Kitchens and Millwork Inc.
Introduction - An intranet site (isite) is a powerful combination of public WebPage and private management functions. A public web site brings your business to the Internet increasing the opportunity for new potential clients to find you and see your product or service offerings. You can find a website and hosting just about anywhere. 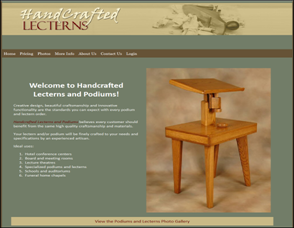 But other companies don't know we can provide - knowledge about the wood working industry to help you design a site that works to achieve your marketing goals. For many shops in 2009's economic reality it is time or past time to revise or start the marketing plan. We will provide you with a public website or redesign your current one plus register a domain as required. You will get to choose from a selection of web site templates which can then be personalized for your company. You will be responsible for the hosting fees. Your intranet site also has back office management including calendar, secure and private internal email, and a communications center. The combination of public website and private management is extremely powerful, giving you complete control over what the public sees. Bring your business to the Web and the Web to you. "If the customers are not calling you, it is time to bring your product or service to them." "Instead of just fighting to keep your current clients, CREATE your own using stimulation marketing." Beyond the public presence, however, an iSite is also a powerful management tool that can centralize all your business communications, documents and data which is then accessible from any computer with Internet. Web site design. You will be given some sample website designs to choose from but we will gladly try to incorporate your ideas of what your site should look like. Naturally we will do our best to incorporate your company logo and a color scheme to compliment. This limited time offer includes 3 personal conference sessions to review your marketing plans and goals in order towards creating the best web site design for you. Some free design time is included but if your design dreams go beyond what we can freely offer then we can talk about additional design costs. Web site content. With an iSite you decide which pages are going to be visible to the public so you can work on a page until you have it right then with a simple click allow the public to see it. When you order an iSite from CMO you will have a Home page and 4 other pages ready for you to personalize with our assistance then make public when ready. Our suggested public page setup is to display Home, About Us, Contact Us, Products and Success Stores but these can easily be changed, removed or other pages added. 3 Corporate branded email addresses. Still using social network email like yahoo, AOL and Hotmail with domain registration we can also provide you with 3 company email addresses (example: yourname@yourcompany.com) free of charge. This gives your company a more professional public image. Additional email addresses will cost extra. We have a more advanced email corporate plan also to give one of the best virus and spam protection in the industry but still allow you to do business. One year domain registration. That is, if you don't already have a domain we will try to find a domain name that matches your company well then register it for you (example: www.yourcompany.com). We will renew for free for as long as you remain a CMO customer. If you already have a domain registered or want to handle that on your own we can simply forward it to your iSite. Back office management. Creating public web pages is just the beginning. An iSite provides a collaborative set of management tools allowing you to communicate securely with others, share and store documents, images and drawings, and schedule appointments or tasks right on your own intranet.